Kurva, R10, radie 888 mm / 15°, med banvall. 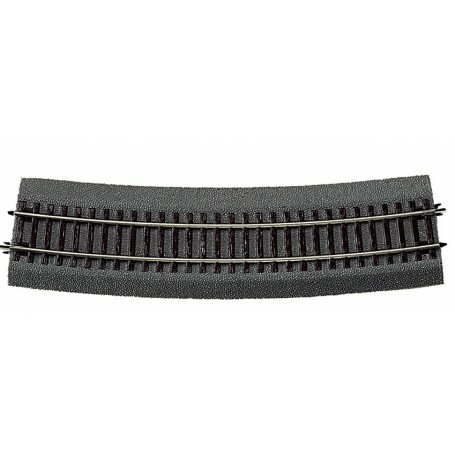 Curved track R10, r = 888mm/15 deg., (reverse curve for 15 deg. switches/crossings), with bedding.